The popular nonsteroidal anti-inflammatory drug (NSAID) used for the treatment of arthritis pain, Celebrex, has undergone intense scrutiny in a marathon securities fraud case against the manufacturer, Pfizer. 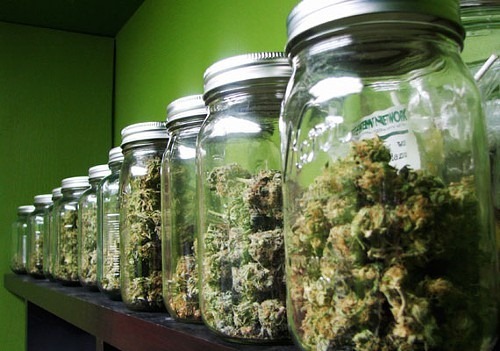 This week, The New York Times reported that thousands of internal documents were unsealed by a federal judge, and that they proved to be riddled with deliberate fraud and deception regarding not only safety concerns about the drug, but claims about the benefits as well. 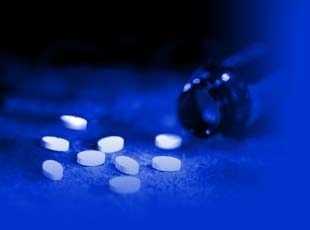 In 2004, Celebrex and other COX-2-inhibitors—a class of NSAIDs thought to reduce pain and inflammation without the gastrointestinal side effects of other NSAIDs—underwent sharp examination after a similar drug, Viox, was withdrawn from the market after studies uncovered that the drug doubled the risk of heart attack and stroke. 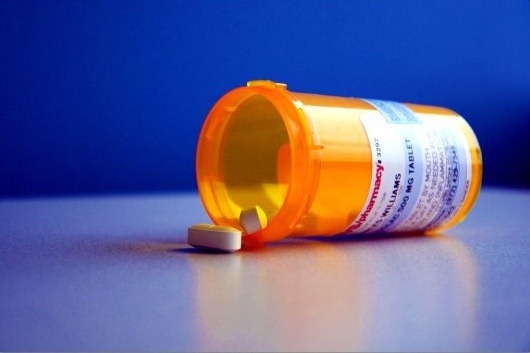 Leading up to the release of internal documents, Pfizer has dealt with a wave of lawsuits from more than 3,000 patients who claim that Celebrex caused heart attacks and strokes. The New York Times reported this week that blatant and unabashed deception about Pfizer’s research was detected in the documents unsealed by a federal judge. “They swallowed our story, hook, line and sinker,” wrote a research director. Not only was Celebrex not easier on the stomach than other NSAIDs like aspirin, but the dangers of stroke and heart attack were masked. The only reason it appeared that the drug was safer on the stomach was because Pfizer and it’s partner, Pharmacia, cherry picked their research results by only presenting the first six months of a yearlong study. To top off the conspiratorial nature of this case, it turns out that Pfizer stole the research that led to the discovery of Celebrex in the first place. 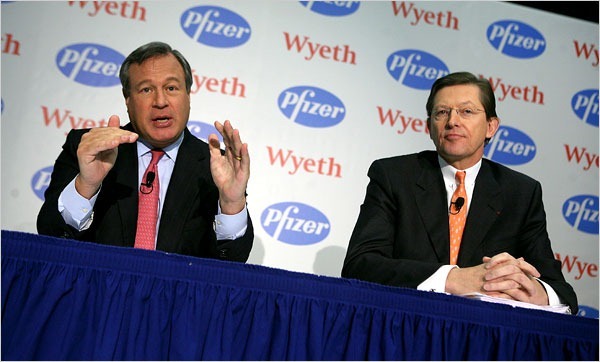 Last month, Pfizer settled with Brigham Young University for $450 million. A chemistry professor, Daniel L. Simmons, discovered the genetic workings of the drug in the early 1990s and the university had a research agreement for royalties with Monsanto Company which was later acquired by Pfizer. The original agreement not honored by Pfizer was 15 percent royalty on sales of Celebrex, or about $9.7 billion. Rather than risk losing everything in a trial by jury, BYU settled for just $450 million. I’ll leave you to draw your own conclusions about some of the eccentricities of big pharma from this bit. The Wall Street Journal carried a press release today by Nervo Corp., a medical device company, that announced the issuance of two patents related to the company’s Senza™ High-Frequency Spinal Cord Stimulation System. Unlike traditional systems, Senza delivers pulsed electrical signals to the epidural space of the spinal cord without causing paresthesia, the tingling, buzzing sensation associated with low-frequency spinal cord stimulation. Needless to say patients often find this unpleasant. Spinal cord stimulation (SCS) is a high tech procedure involving a surgical implant that uses an electrical current to treat chronic pain in the limbs and back. A small pulse generator implanted in the back sends electrical pulses to the spinal cord that scramble the nerve impulses that make you feel pain. What makes Senza different is the lack of side effects associated with paresthesia. The new technology might make SCS more desirable an option for people suffering from debilitating chronic pain. It also makes the implant seem like a less extreme compromise. Does anyone have any experience with SCS? I’ve wanted to write about foods for chronic pain for a while now, as well as get everyone’s input, so here it is! The best foods for chronic pain are all anti-inflammatory in nature since pain is either caused by inflammation, or causes inflammation over time. As a rule of thumb you want to look for food high in antioxidants, fiber, and certain vitamins and minerals. Over time, a diet like this will give you at least meager pain relief. And at the very least you will be countering the systemic nature of chronic pain with all of the other health benefits you get from eating healthy. A wholesome diet helps prevent pain-aggravating weight gain and boosts energy levels and mood so you can have an overall better outlook on things. Wild-Caught Salmon is a great source of EPA (eicosapentaenoic acid) and DHA (docosahexaenoic acid), two very potent omega-3 fatty acids that lower inflammation. The benefits of omega-3 fatty acids can’t be understated, e.g., they prevents heart disease, cancer, and reduce some symptoms of autoimmune diseases and psychological disorder, plus all this is backed by myriad scientific studies. 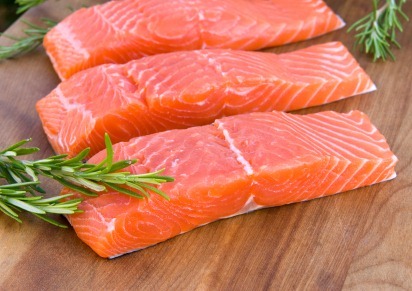 A good substitute to eating salmon a couple of times a week is a good fish oil supplement. Blueberries are an antioxidant powerhouse. They are high in phytonutrients—certain plant compounds that give you anti-inflammatory protection against a ton of diseases such as cancer and dementia. Really, any of the berry relatives (especially blackberries, cranberries, strawberries and raspberries) are full of antioxidants and vitamin C.
Extra Virgin Olive Oil is rich in antioxidant polyphenols, which help lower a common pain-causing mechanism in the body. It’s low in saturated fat, but can still substitute butter while cooking. Too much saturated fat has been shown to erode bone density and trigger pain. ScienceDaily has even reported that a naturally occurring chemical found in extra-virgin olive oil is a non-steroidal anti-inflammatory agent similar to Aspirin. Kelp (or any ocean salad) contains fucoidan, a type of complex carbohydrate that is anti-inflammatory, anti-tumor and anti-oxidative. Recent studies on fucoidan have shown that its brown algae extract can help control liver and lung cancer, as well as promote collagen synthesis—the creation of the primary component in connective tissues, such as tendons and ligaments. Kelp’s high fiber content also helps induce fullness, slow fat absorption and promote weight loss. The only problem is it’s not as accessible as some of these other foods, and if you can find it, you have to make sure it’s organic kelp, harvested from unpolluted seas. Turmeric is a traditional Asian spice commonly found in pre-mixed curry powder. It contains a powerful compound called curcumin. Some studies have shown turmeric’s anti-inflammatory effects are similar to potent drugs such as hydrocortisone and ibuprofen but with none of the side effects. The University of Maryland Medical Center states that curcumin may also help fight infections, some cancers, and treat digestive problems. Are you afflicted with lower back pain? If you are, you’re not alone. Millions of Americans report having the condition every year. 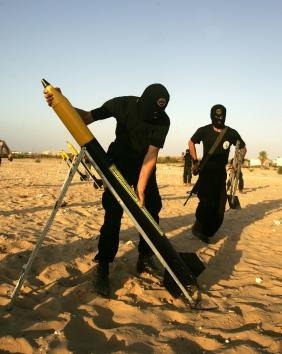 The good news is there may be a viable solution available in the not so distant future. 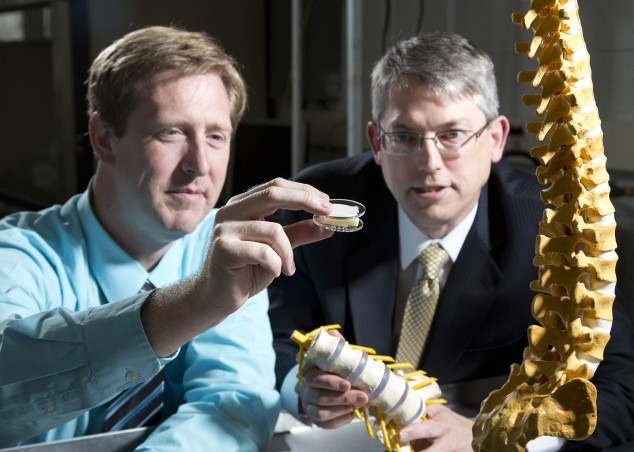 The BYU newspaper reported today that mechanical engineering professors have developed an artificial spinal disc that they believe could cure chronic lower back pain for many people. They describe the disc as using flexible pieces of titanium to move naturally with the spin, thus mimicking a normal disc. One of the most common reasons for a doctor visit these days is low back pain. In fact, up to 80 percent of people will experience back pain sometime during their lifetime. Currently, the silver bullet for the chronic condition is spinal fusion surgery. This treatment involves removing the degenerative disc then fusing the gap together with bone fragments. Although more than 300,000 operations like this are performed each year, about half of these patients are unsatisfied with their result. The Mormon biomedical engineering department at BYU believe they have the answer. 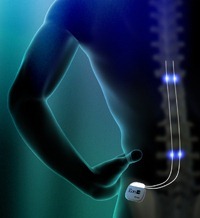 The artificial disc is currently being developed by Crocker Spinal Technologies based in Salt Lake City. It will first be available overseas (due to strict FDA regulations here in the U.S.) but will be accessible to Americans—pending favorable study results—very soon.